We all know that moderation is the key for staying healthy and happy. 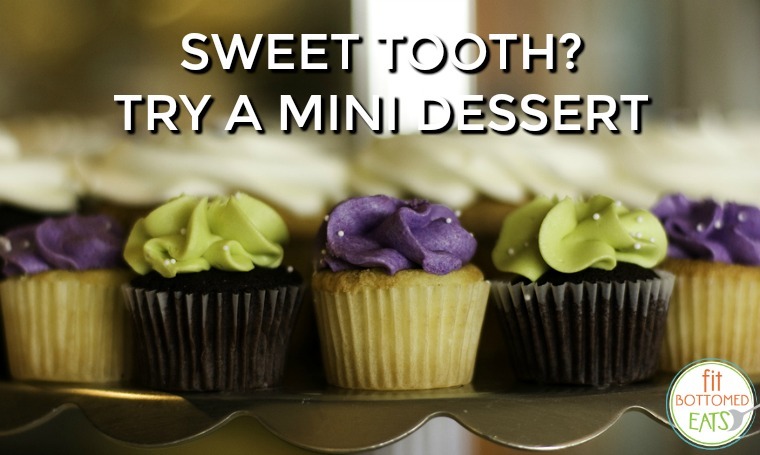 A little splurge here, a sweet treat there — it’s all good — unless your idea of a little is actually a lot! One of my favorite restaurants offers a slice of red velvet cake served with raspberry coulis and fresh berries. It looks fantastic, but I’ve never ordered it. Why? Because the piece they serve is as big as my purse! A splurge is supposed to be an indulgence — not an act of overindulgence. I don’t advocate counting calories or having a set of hard and fast rules to follow, but a little common sense doesn’t hurt either. If you are craving a dessert, for Pete’s sake have one! But tune in to your hunger scale and try to eat just enough to be satisfied. Don’t let a super-sized dessert sabotage your good intentions. If the restaurant of your choosing only offers the mega-portion, see if they’ll split it into multiple pieces and share with your whole group, or turn your dinner into a moveable feast and have your cake at another spot (with reasonable portion sizes) down the road. The break will help you to gauge your hunger level also. If you love to bake, invest in a mini pan and create tiny versions of your favorite desserts. Bite-sized tartlets, cupcakes and petite treats create instant portion control and are perfect for entertaining. No plate required! And we all know that is never gonna happen.